Bernie Sanders has a revolutionary plan to help bring back the lost generation. During Saturday's Democratic primary debate, Sanders revealed an ambitious education initiative that may have secured him the youth vote and reinvigorated his campaign in one fell swoop. Earning rounds of raucous applause, one Sanders debate quote in particular stood out from the rest of the frenzied conversation. Speaking to his plan to "substantially" lower interest rates on education loan debt and make college tuition-free for all students, Sanders pointed to the overall benefit for the rest of the country. "It is imperative that we have a highly educated workforce," Sanders explained. The Vermont senator then criticized public higher learning institutions who chose to spend their funding on massive sports stadiums rather than on tuition costs. "It is insane to my mind [that young people cannot afford to go to college]," he added. Sanders also stated that "radical changes in the funding of higher education" were necessary in order to provide the American workforce with knowledgeable and skilled employees. "We should look at college today the way we looked at high school 60 years ago," Sanders explained. The issue of student loan debt and the cost of higher education as been a popular talking point for Sanders, whose base is largely made up of young progressive liberals. Most of those supporters crave the change the Sanders' campaign has promised to bring if the senator is elected president in 2016, in particular his proposals on raising the minimum wage and stamping out the income gap. 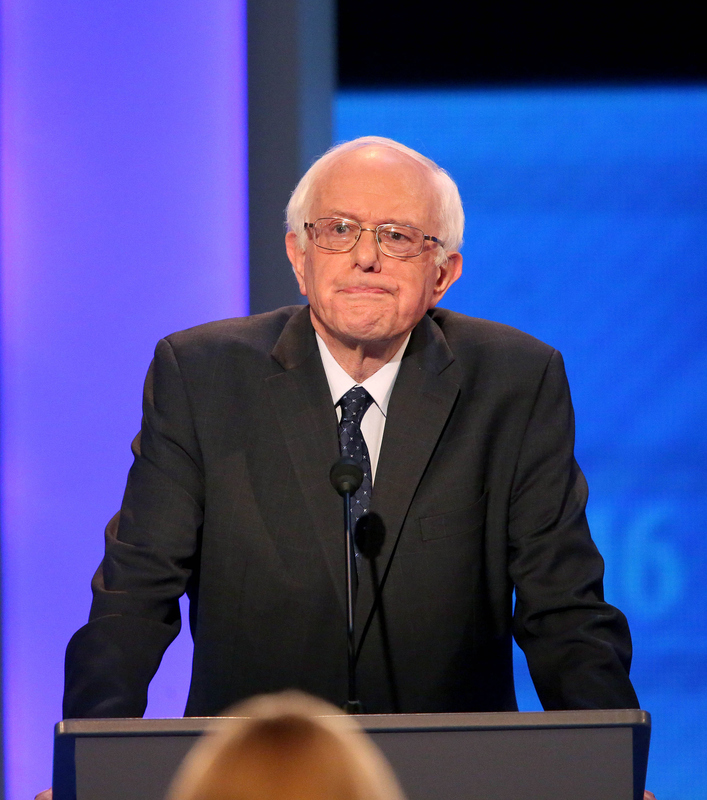 During Saturday's debate, Sanders addressed both. "People all over America … are working longer hours for lower wages," Sanders lamented, adding that women and young people were specifically falling behind in terms of unemployment. "We rebuild our crumbling infrastructure, we create 13 million jobs," he added. "I'm gonna have a tax on Wall Street speculation to make certain that public universities are tuition free." When prompted by the ABC News moderators, Sanders added that he wouldn't be popular with the high income earners and banks on Wall Street. "[Corporate America] ain’t gonna like me, and Wall Street is gonna like me even less," he joked. Well Bernie, I think it's safe to say that you could go without Wall Street's favor since you've got the young'uns on your side.